It's always a pleasure to see the beautiful and very sweet Vampy Bit Me, and at New York Comic Con (NYCC), she promised various cosplays for all four days. 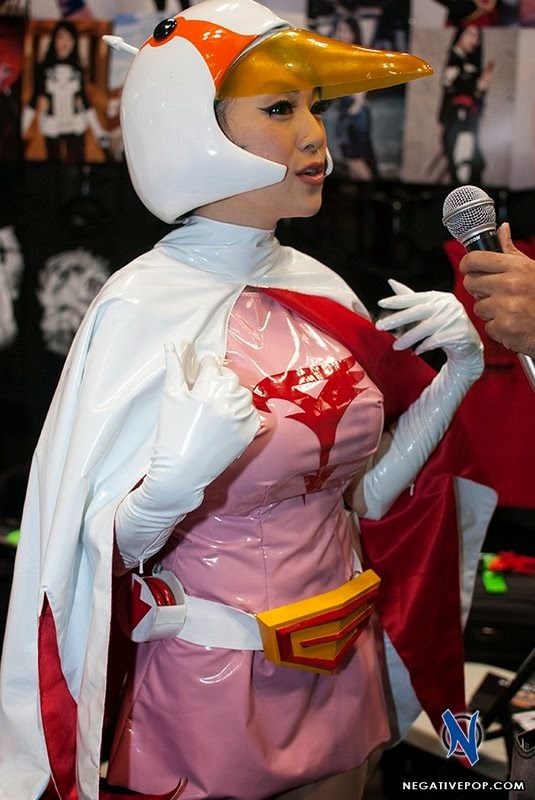 On the first day, Thursday, she was in her Jun cosplay from Battle of the Planets, AKA G-Force AKA Gatchaman. Over the course of the next three days she wore other cosplays, all of which were just awesome! As always Vampy is so sweet and friendly. She really loves meeting and talking to her fans and her personality just brightens up the whole convention. It's always cool to talk to her and the following video is from an interview I conducted. 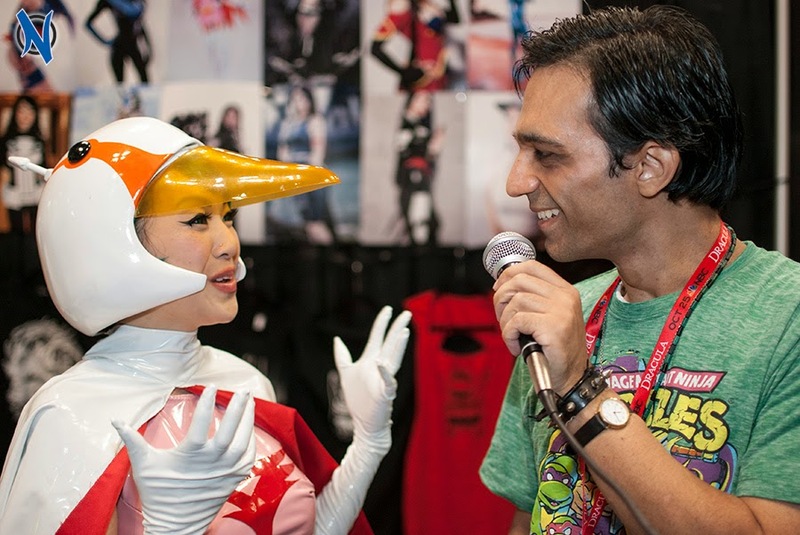 In is she talked about how she has been a Gatchaman fan since she was a kid, much as me. And, how the character of Jun is really a badass. She also told me how relaxed it is where she was sitting at and about all the cosplays she was doing at NYCC. Unfortunately, due to some technical problems much of it was lost. But, thankfully the very end wasn't. And, I think it serves to capture just a little of just how sweet and wonderful she is in person. There is no doubt in my mind that she is my favorite cosplayer of all. Here she is with my cameragirl and friend Kristin and I. As some of more older readers may know, the Punisher is my favorite superhero. I know she's done this one on many occasions, but it was AWESOME to see her do it in person! This pic, by the way, is from Friday. And, as such I just had to get a pic with her in this cosplay! On Saturday she did the New 52 Nightwing. Here is she signing autographs for fans. On the last day, Sunday, she did this truly awesome Spider-Woman. I asked her about visibility, she jokingly said, not so good!